More than 15.000 satisfied guests every year! 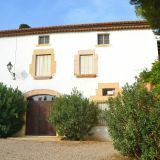 We wish to present the best possible catalan holiday villas to our customers so we have visited all holiday homes and have rejected more villas than we can present today. All our holiday homes are therefore handpicked to our guests. We have chosen to specialize in Catalonia and catalan holidays. We do our very best to stay updated on activities in the many small catalan villages. In this way we can present the best of the region's possibilities for our guests as part of ensuring a successful holiday in Catalonia or Barcelona. 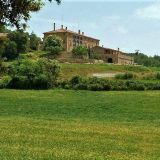 "Local living" supports the rural population of Catalonia, stops the expansion of mass tourism and helps to preserve the rural population and the cultural-historical country houses and holiday villas in the Catalan countryside. When renting through Catalonia Holiday Lettings, the consumption of electricity, water and heating is included in the price of the holiday villa. In addition, final cleaning, bed linen and towels are also included as a natural part of the rental. We were two families who decided to take a trip to Spain during the summer vacation. After a little research on the web, we found Sydens Feriehuse website and found a holiday home that matched out needs. After a call to Bertel we were in no doubt. From the first contact, there was all the help and information we could wish for. Bertel even took care of booking a taxi to and from the airport for us. Everything has worked perfectly, and we have just returned from a wonderful, beautiful vacation. I give them my best recommendations! Can be recommended for holiday in Catalonia. Great help with the selection of houses, we simply told them our requirements and wishes and received suggestions. The actual booking no problems. During the stay we needed help, and received quick response by e-mail and help was given. The house was incredible and suited the description. Can definitely recommend booking here. We had a fantastic holiday in Catalonia this summer. We would like to thank Sydens Feriehuse/Catalonia Holiday Lettings for everything they did to make this possible. And for the suggestions they gave, and helping us in the best possible and client friendly way. We will definitely recommend this organisation to friends and family, because of the honest, prompt and clear way we could book our lovely holiday home. This was our first dealings with the company and they were excellent throughout the experience. The houses that they have are of an exceptional quality. The staff are friendly and helpful and from browsing through to final payment they were thorough and courteous. Can Salerich was a rustic, tranquil oasis within a wooded valley and the owners were happy to oblige our requests and had good local knowledge. 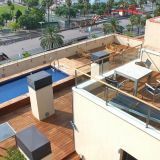 We will be booking again with Catalonia holiday lettings. Exceptional service and great house! We had the most wonderful holiday in El Monasterio near Gironella. Perfect for our large group of 3 families with 15 people altogether. The house was wonderful, the location perfect. 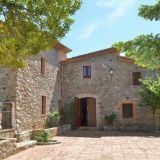 Lisbeth, Bertel and the team at Cataloniaholidaylettings went out of their way to be helpful, offering useful advice when we were choosing a property. The booking process worked very smoothly. We would definitely use this company again. Great help in finding great house! We stayed with a cycling group in a beautiful house in Girona (Masia Delander). We got great information and instant reply on our question. We will certainly use them again, trustworthy people to deal with! We have just returned from a brilliant holiday at Casa de Cuaña - about 15 minutes outside Girona. This property was amazing - it had everything we needed for a party of 13 including a tennis court, private swimming pool, table tennis, lovely large grounds and a beautiful outside eating terrace with BBQ. The house itself has been beautifully restored by the owners and has so much character and plenty of space for everyone. It is in a perfect, secluded location along its own private drive. 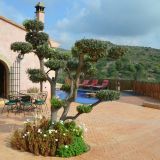 The service we have received from Catalonia Holiday Lettings has been second to none and we would thoroughly recommend them and this property. Dealing with a foreign company is not usually easy but this simply was! From booking through to payment and directions and recommendations in the area it was fantastic. And as for the property....we have travelled the world staying in some great places and houses but Mas Carabassa beat them all. The quality of the house- including superbly comfortable beds and the cleanliness were exceptional. The property description did not do the house justice. The surprise of a tennis court and mountain bikes was a very welcome added bonus! Pep the owner who met us on arrival could not have been more helpful. 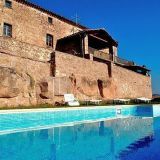 Without hesitation I will be using Catalonia lettings again and would certainly recommend them to anyone wanting a quality holiday in a superb location for an amazing price. We will definitely use them again! 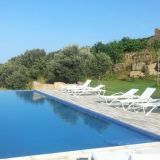 Great company with great properties...go on take a look and then book! We believe that Barcelona, Catalonia and the Pre-Pyrenees, with the magnificent scenery, are some of the most beautiful places in the world. Here we can achieve the feeling of being ourselves in the middle of fantastic scenery while at the same time seeking out the local charm of the nearby villages. The metropolitan areas of Barcelona and Girona are amazing cities, which we always visit when we stay in Catalonia. The Catalan people are proud, open and hearty, the food is exquisite, and the region's many cultures can constantly surprise us. The many beautiful holiday homes are close to our hearts and all of the homeowners are people who have a close bond to their property. Mostly, the houses have been in the family for several generations and a lot of money, energy and cultural historical respect have been added to the houses in the beautiful restorations. Our love for Catalonia gave us the courage to make these little unknown parts of Catalonia available to others who, like us, seek beautiful surroundings and a comfortable distance to the bustling resorts of mass tourism. 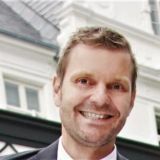 At Sydensferiehuse.dk, we consider it our most important task to ensure that every single guest has a wonderful holiday. Through deep local knowledge, exquisite personal service and guidance, credibility and critical selection of holiday homes, we ensure that every guest has an excellent holiday.